60 Second Snapshot: How is Our Industry Identified? Please take this brief 60 second survey to help us gather information on how our members and their consumers identify the pest control industry. Click here to take the survey. There is only ONE DAY left to register at the discounted rate for the 2015 Mid-Atlantic/Carolinas Summer Conference, July 29-August 1 in Myrtle Beach, SC. The conference will feature a mix of in-depth management sessions, interactive training, and technical courses featuring the latest research in the pest management industry. Register by July 8 and SAVE! Optimizing your fleet with graphics that continuously build and reinforce your brand is the most cost-effective marketing available. We also know that choosing a graphics manufacturer is no easy task. When it comes to selecting a partner able to uphold your brand standards ensuring your professional appearance, nobody manages the execution of graphic programs better than SignZoo. As an NPMA member, you'll leverage your buying power, getting the best product and warranty available, for the best price. Click here to learn the benefits to using SignZoo. In partnership with NPMA, the Professional Pest Management Alliance (PPMA) has developed materials to support an industry-wide community day of service. Given the importance of taking action and devoting resources that address the issue of pollinator health, the day of service will focus on pollinators; “Plant Your Own Pollinator Garden” will take place for the first time on August 22, 2015 (National Honey Bee Day). We encourage all members to take part in this initiative by planting a pollinator garden in your community. For more information, please click here. To assist you in navigating the steps involved in this process, NPMA and PPMA will host a "Plant Your Own Pollinator Garden" webinar on Wednesday, July 8 at 1:00 pm. During the webinar, participants will learn more about the initiative, how to apply for a community garden, what type of flowers to plant, how to publicize the event to the media and more. Taking tips from certified companies, QualityPro recently updated many of its resources to be more business-friendly. Now available: hiring template forms as fillable .pdfs and a model IPM factsheet in four different designs for use with commercial and residential clients. The yellow fever mosquito (Aedes aegypti) is one of the worst public health pests in the world. This species, which is capable of transmitting dengue fever, chikungunya, yellow fever and other diseases, is commonly found in tropics and sub-tropics. In an effort to reduce mosquito populations (and the incidence of dengue fever) in Brazil, a team of scientists, led by Dr. Danilo Carvalho, released transgenic male mosquitoes. The genetically engineered male mosquitoes mate with wild mosquitoes in the field, but a special gene (OX513A) from the male manifests itself in their offspring, which will die as larvae or pupae but not reach adulthood. The field research in Brazil was a success with the population of adult yellow fever mosquitoes reduced by over 90 percent in treatment areas. 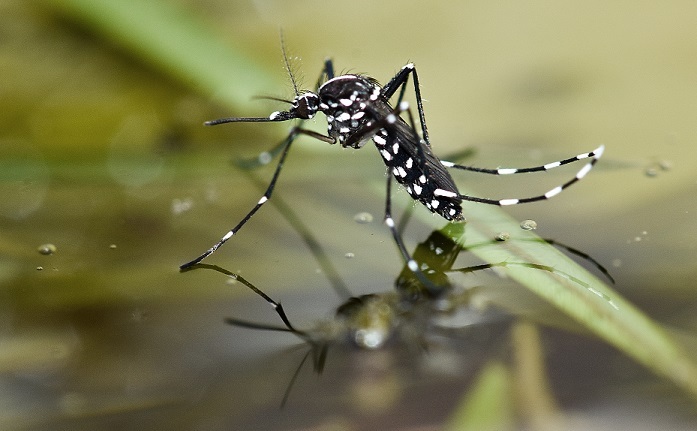 This control strategy has the ability to substantially reduce rates of dengue fever, which is one of the most rapidly spreading infectious diseases in the world. The transgenic mosquitoes are not a risk to ‘contaminate’ any other organisms with OX513A. On June 30th, the US Environmental Protection Agency (EPA) released the results for the first 52 pesticides in its Endocrine Disruptor Screening Program’s “Tier 1” screening program. Of the 52 pesticides that were screened during this phase of the program, 18 were selected for further screening, of these, only one is commonly used in the structural pest management industry. In the 1990’s, amid controversy, some scientists proposed that certain pesticides may disrupt endocrine systems in humans and wildlife. In 1996, EPA was directed, as a result of the Food Quality Protection Act and the Safe Drinking Water Act, to screen pesticides to determine their potential for estrogen, androgen and thyroid effects in humans and wildlife. The results of the first round of screenings (Tier 1) designed to identify which, if any, pesticides have the potential to have endocrine effects were reported last week. If no potential for endocrine activity was identified, no additional testing will be required. If the potential for an effect is identified during Tier 1 screening, the chemical goes through additional screening (Tier 2) to determine if there is an actual effect and whether it results in any harm. EPA’s Tier 2 testing has not yet begun. NPMA continues to monitor the program and will provide future updates when they are available. For more information about the EPA Endocrine Disruption Screening Program click here. On June 30, new overtime regulations proposed by the Department of Labor (DOL) were released in advance of official publication. The regulations were officially published in the Federal Register on Monday July 6th. The regulations are in response to a 2014 directive by President Obama to update overtime rules under the federal Fair Labor Standards Act (FLSA). FLSA guarantees overtime pay at a rate of one and one-half the employee’s regular rate of pay for hours worked in excess of 40 in a workweek. The current FLSA has a salary threshold of $23,660 annually ($455 per week), meaning ANY employee making less is eligible for overtime. Employees making over the $23,660 annual threshold are eligible for overtime unless they fall under a specific industry exemption (teachers, doctors, lawyers) or the “white collar exemption.” These exemptions include; executive, administrative, professional, outside sales and computer employees. The DOL proposed rule would raise the minimum threshold to approximately $50,440 annually ($970) per week in 2016. This new proposed level is equal to the 40th percentile of weekly earnings for full-time salaried workers. The threshold will be indexed to maintain the salary threshold at the 40th percentile. The DOL estimated that approximately 4.6 million employees that are currently exempt based on the $23,660 threshold, will become eligible for overtime under the $50,440 threshold. The rule does not propose changes to the current exemptions, including the “white collar exemption,” and the duties test used to determine the “white collar exemptions.” The rule does invite comment on these exemptions specifically, which raises concerns that the exemptions could be changed in the final rule. The DOL has provided a 60 day comment period, closing on Sept. 4, 2015. DOL will then reevaluate the rule while considering comments and will then presumably publish a final rule in late 2015 or early 2016. NPMA is continuing to analyze the rule and monitoring further legislative activity that may affect the proposed overtime rule. If you have specific questions about the proposed rule or FSLA overtime guidelines in general please contact Andrew Bray at abray@pestworld.org. Beekeepers have quite the task ahead of them as they remove an estimated 1 million honey bees that have taken up residence at a New York home. The Times Herald-Record of Middletown reports two beekeepers were at work Thursday removing siding on the outside of the Wallkill house to get to the bees. A little over a year ago, the Obama administration directed the Department of Labor to devise new regulations that raise the salary levels for white collar exempt employees. This is a huge change with seismic implications. Wage and hour regulations identify five white collar exemptions and employees who meet these qualifications are exempt from time keeping, the minimum wage and overtime. Click here to read more about new regulations for exempt employees. Atlanta-based Arrow Exterminators recently announced the acquisition of Hallman Pest Control of Oneonta, Alabama. Douglas Products recently acquired the Vikane® and ProFume® gas fumigant business from Dow AgroSciences. Bug Out Service has recently merged with Kelley Termite and Pest Control.